« Tired of those pesky flies? 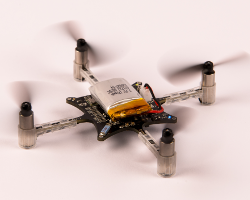 Are you ready to join the quad copter craze? There are sizes from nano to humungo! Some have cameras. Some can carry things. What a fun and exciting thing to learn to use. This is one of the smaller ones available at a reasonable price.